Fun and colorful vector graphics to use when decorating all your projects. 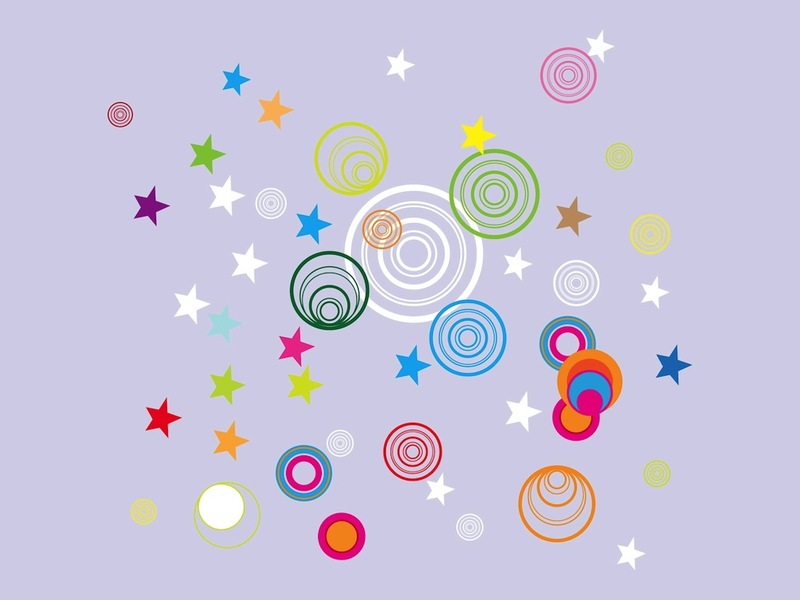 Circles, stars and round shapes in many different bright colors. Pop art vector graphics for all your posters, flyers, party invitations, wallpapers, backgrounds, backdrop images. Download this free illustration for your pop art and party projects. Poppy design footage to kick-start your digital art projects. Tags: Circles, Colorful, Colors, Decorative, Geometric Shapes, Poppy, Round, Stars.